We are a renowned Manufacturer, Exporter and Supplier of Flexible Gear Couplings in New Delhi. The Flexible Gear Couplings, offered by us, are known for their reliability and excellent power transmission features. The Flexible Gear Couplings have a hub, which is machined using EN-9 steel forging for accurate alignment and balance. 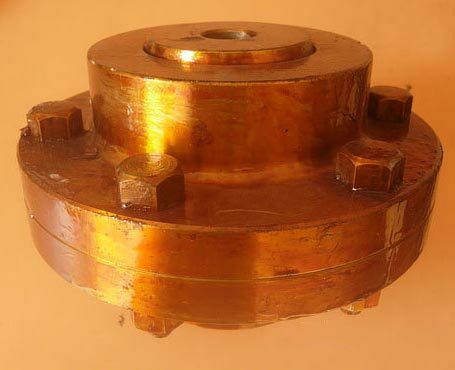 The Flexible Gear Couplings can be availed as Full Geared and Half Geared Half Rigid. Combined Angular : Where the offset axis of the connected shafts is neither parallel nor do they intersect. Angular : Where the axis of the connected shafts intersect at the center of the coupling. Parallel Offset : Where the axis of the connected shafts are parallel but not within the same straight line.